Should we repair our House? or Should we sell our house as is? Home / Blog / Should we repair our house? Or.. Should we sell our house as is? When looking to sell you house that needs repairs you are facing a difficult situation…should you spend more money on the house before you sell it? Or, should you sell it as is? Unfortunately, the answer is always, it depends. It depends on your circumstances and on the real estate market in your area. Before we answer this lets first consider a situation where a house has a crack in the foundation. The homeowner has several bids for the work and repairs will cost $5000. Similar homes are selling for $100,000. It seems reasonable to think the value of the home is $95,000 ($100,000 – $5,000 for the repair). The problem is repairs and renovations often run over budget. If the repair costs $7,000 and a buyer paid $95,000 for the home they just overpaid by $2,000, in addition to having to live through the process of getting the repair completed. Lets assume we are looking at homes in this area, we may just skip over the home that needs the repairs. So if you are selling you may have limited the number of people that will even look at your home. If we did look at the home priced at $95,000 and knew the repairs would be around $5,000, we would expect to get a better price on the home and offer much less for the property. The above scenario serves to illustrate a point. If you are considering selling as is or repairing if you have the available cash it usually makes sense to make repairs to your property. This is considerably different than making renovations to your home. (Yes to Repairs, Maybe to Renovations) Although major updates to the flooring, painting, kitchens and baths will certainly look nice. A major renovation will be difficult to see an immediate return on your investment. Unless you are a professional, you may want to steer clear of major renovations when considering a home sale. Back to the question at hand and the circumstances that will affect your decision to make repairs / renovations. First you need to consider your budget. If you have the money available to complete major repairs (like in our above example it will almost always make sense). If you do not have the money to repair, remember if you need to sell quickly be realistic about your sale price. A buyer would expect a discount for repairing the home. The next factor to consider is your local real estate market. Are prices rising quickly? Don’t pay attention to the national headlines as this may or may not be true of your neighborhood. Consult with a local professional to get an opinion on the market and your home. In St. Louis you can contact House Sold Easy for a Free Home Value Consultation. If prices are rising and home are selling quickly, there is less incentive for a home seller to repair the property as you might expect a quick sale. 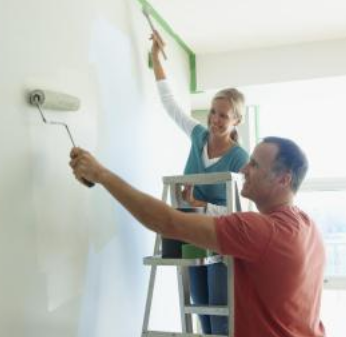 If the market is slowing down and houses are sitting on the market, there is more incentive for you to fix your home up; you have time to do it and you need your house to stand out to sell.